Update 12/23/2018-This article now contains links to my other Single Type Run articles located at the bottom of this page. Pokémon Gold and Silver remains one of the top rated and favorite games in the Pokémon franchise for fans all around. Their popularity was heavily boosted with Heartgold and Soulsilver which, at the time, modernized the games and brought with it Pokémon that could follow you wherever you go. And now, with the rerelease of Pokémon Gold and Silver on the Virtual Console, I thought it was time to revisit these games but this time ask the crucial question, what are the best types for a Single Type (or Monotype) Run? This article will be similar to my previous two articles on the subject matter so feel free to check those out for more information. As usual, a Single Type Run is a run that involves no trading, only trains Pokémon of a certain type, and is completed when you beat the Champion (or in our case the first Elite Four). Since Heartgold and Soulsilver are very similar to their original counterparts (minus the Pokewalker) they’ll be included as well. Also check out a similar article on best Single Type Runs for Pokemon Red, Blue, Yellow, FireRed, and LeafGreen! Generation 2 has an advantage over its predecessor as it’s building off of most of the original 150 Pokémon with the addition of a 100 new Pokémon that bring more type diversity. As such, there are a lot more fun runs to choose in these games compared to Red, Blue, Yellow, FireRed, and LeafGreen. The best type for a Single Type Run is probably the Water type. A huge diversity of Water Pokémon available throughout the game makes this a fun type to play as there are many different team combinations. Most notably, this generation introduced Quagsire which neutralizes Water’s weakness to Electricity and can be caught after the first gym. The Flying type is probably the second best as you can catch about ten different type combinations and there’s a new catchable, Flying Pokémon after each gym battle. Other types do very well including Ground, Bug, Normal, Poison, and, if you are generous, Grass and Rock. Check out a list of team combinations below. The usual suspects for a bad Single Type Run are found here namely Dragon and Ice. Dragon’s especially bad as you can only catch a Dratini after the final gym and you can’t get a Kingdra unless you trade for one. Ice is very funky though as although the weaknesses are neutralized regardless of the game, the first Ice Pokémon you can catch is the Union Cave Lapras after you get the Surf HM (which is activated after the 4th gym). So you’ll be playing awhile without any Ice Pokémon. Ghost is also not that swell as despite Gastly’s pre-first gym availability, the next Ghost Pokémon you can catch is Misdrevous at Mount Silver, so basically at the end of the game! Since Gold and Silver introduced Dark and Steel it’s no surprise that there is a rather low and late diversity of them in these games. You have some pretty big handicaps as Steelix and Scizor are basically off the table unless you have a trading partner. Then there’s poor Dark as many of the famous Dark Pokémon (Houndoom, Tyranitar, and Sneasel) are available after you beat the Elite Four. Although once you finally catch that Murkrow, you won’t have to worry about Fighting and Bug attacks! Before I list Type Team Combinations, I should talk about the Pokewalker. As mentioned before, HG and SS are basically the same game as Gold and Silver with some tweaks, graphics update, and other gameplay features which doesn’t affect a route’s Pokémon. But the Pokewalker, God bless this device, makes it so you can catch some Pokémon as early as the first route. Sure, you might have to do a lot of walking but it will be worth it! The Pokewalker makes it so you can catch Electric, Steel, Psychic, Fighting, Dark, Ice, and even Dragon Pokémon right from the get-go! All these Pokémon are Pokémon you can still catch before the Elite Four so you won’t change your team diversity but at least you can get them earlier. This means you can do a feasible Ice type Run as you can catch a Shelldar and a Smoochum fairly early on. If you still have your Pokewalker, give HG and SS a go because a lot of types become more fun for a Single Type Run. I’ll make special mention of the types that are affected by the Pokewalker below. First Pokémon: Caterpie (G, C, HG)/Weedle (S, C, SS)/Ledyba (S, C, SS)/Spinarak (G, C, HG) in Route 30 before the first gym. Venonat and Paras via Pokewalker. First Pokémon: Eevee given by Bill in Goldenrod after the third gym or Murkrow via Pokewalker. First Pokémon: Dratini via Dragon Den after the eighth gym or bought at the Goldenrod Game Corner after the second gym (or by Pokewalker). First Pokémon: Mareep via Route 32 after first gym (except Crystal which would be Magnemite Route 38 after the second gym) or Magnemite, Elekid, and Voltorb via Pokewalker. Covers Weaknesses? No, Ground is not neutralized. First Pokémon: Heracross via headbutting trees after the second gym, Poliwag in Crystal via Route 30 before the first gym, or Machop via Pokewalker. Covers Weaknesses? Psychic and Flying not neutralized. First Pokémon: Pidgey and Hoothoot via Route 29 before the first gym. Pidgey, Doduo, Spearow, Hoothoot, Murkrow, Zubat, and Dratini available via Pokewalker. First Pokémon: Gastly via Sprout Tower (or at night at Route 30 in Pokémon Crystal) before the first gym; Gastly can also be caught on the Pokewalker. Covers Weaknesses? No, Flying, Ice, and Fire are not neutralized. First Pokémon: Geodude, via the southern route of Route 46 before the first gym or Geodude, Onix, the Nidorans, and Wooper via Pokewalker. First Pokémon: Pidgey, Rattata, Sentret, and Hoothoot via Route 29 before the first gym. Kangaskhan, Doduo, and Spearow via Pokewalker. First Pokémon: Weedle (S, C, SS) or Spinarak (G, C, HG) in Route 30. You can also get Grimer, Koffing, Tentacool, Gastly, Zubat, Venonat, Oddish, and the Nidorans on the Pokewalker. Covers Weaknesses? No, Psychic is not neutralized. First Pokémon: Slowpoke at the Slowpoke Well before the second gym. Abra, Wobbufett, Slowpoke, Smoochum, and Staryu via Pokewalker. First Pokémon: Geodude via southern portion of Route 46 before the first gym, or Geodude and Onix via Pokewalker. First Pokémon: Pineco via headbutting trees after the second gym or Magnemite via Pokewalker. This entry was posted in Pokemon, Pokemon Single Type Run and tagged Bug Type, Dark Type, Dragon Type, Electric Type, Fighting Type, Fire Type, Game Boy Color, Gamefreak, Ghost Type, Grass Type, Ground Type, Ice Type, Monotype Run, Nintendo, Normal Type, Poison Type, Pokemon, Pokemon Crystal, Pokemon Gold, Pokemon Heartgold, Pokemon Silver, Pokemon Soulsilver, Pokewalker, Psychic Type, Rock Type, Single Type Run, Steel Type, video games, Virtual Console, Water Type on September 14, 2017 by Andy. Author’s note, this article does not necessarily reflect the views of the National Park Service or Fossil Butte National Monument. This is just my own personal opinion. When I was a kid, I would bike to a nearby state park and walk through the woods in blissful delight. I would imagine myself walking through Viridian Woods, a fictional location in the Pokémon video games, and pretend I was catching forest Pokémon that lived in that forest such as Caterpies or Heracross. I would envision myself on a journey; to fight other trainers and travel across the land. This was only imagination but that never stopped me from hoping this might be true one day. And now, Pokémon Go has given us that opportunity to get as close as we can to capture Pokémon in the real world. So many fans have responded positively to this App that its no wonder Nintendo’s shares have been soaring. There is a real sense of discovery, excitement, and wonder packaged in this app. And this app doesn’t take you to just localized areas in your city but across the country as well. To such places as the National Parks. The National Park Service (NPS) is currently facing a rather perilous position on park visitation. On the one hand, such great and notable parks such as Yellowstone, Yosemite, and Grand Tetons are receiving too much love. The parks are super crowded and the park facilities are strained to their limit to deal with the massive amount of people that visit. On the other hand, some parks and monuments are facing too little visitation or simply aren’t viewed as parks as all. These parks go out of their way, whether it be social media, attending county fairs or visiting local communities, to connect to their local audience and attract those that live miles away. In my opinion, these are the parks that are on the forefront of innovation. The NPS has had a history of adapting through perseverance. In the early 1900s, train companies would boast what national parks they go by, in the 1920s, roads were built and more eastern parks were established to attract a wider audience, in the 1960s, visitor centers and facilities were built to accommodate the large amount of visitors and in the modern age, parks are using social media to reach out in ways that would be impossible even 15 years ago. Our latest slogan, “Find Your Park,” encourages people from across the country to find nearby parks they should visit. Now, who’s to say that the NPS shouldn’t use Pokémon Go or other geographic-depending apps? Pokémon has had a surprising history of bringing people off the couch and together, even outside, since its birth. In fact, the main reason why Pokémon has yet to see a home console release is that the creators firmly believe it would devalue the branding (it is short for “Pocket Monsters” after all). Children would bring their Gameboys around and trade with each other. The DS generation got rid of cables and introduced global trading as well. It’s a very interactive game. The Pokewalker was the best device that got people outside. The Pokewalker was compatible to Pokémon HeartGold and SoulSilver. You could transfer your Pokémon to this pedometer and walk around outside. Every step you took added another experience point to your Pokémon and as such, I would constantly find myself going that extra thousand steps to ensure my Pokémon would level up and get stronger. And now, people can do this not with the pedometer but with their phones! Hatching eggs and catching Pokémon is out there! They’re walking about ready to be caught! It’s exciting! And this is what the National Park Service should be capitalizing on. Here’s the biggest reason why I think this could work. 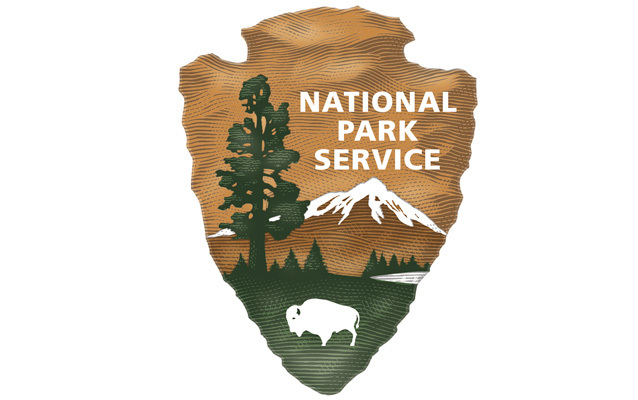 At the National Park Service we sell such things as hiking medallions, pins, patches, and magnets. Each park, for the most part, have their own, unique, collectable items along with the iconic stamping stations. Visitors are incessant on acquiring these stamps and items. It’s sometimes one of the first things they do when they enter the visitor center. Two of the most common questions I answer are “Where’s the bathroom” and “Where’s the stamping station?” No other question even comes close to their popularity. The visitors desire to collect every stamp or item for each National Park they visit (sound familiar??). And the best part? Sometimes, the stamp stations are the only reason why they come. And when they come they are surprised by what we have to offer. Beautiful fossils preserved almost to perfection. A whole ancient ecosystem of fishes, birds, early mammals, plants, and insects are at their beck and call. Leaves have their veins intact, fishes have their scales, and delicate feathers are still attached to their host. We are unusual, that’s why we are a national monument. That’s why we are here. That’s why you are stamping your station. Pokémon Go has tapped into that same desire of Catching Them All. We get off our couches and computer chairs and go outside! It’s crazy! Every day I read so many fantastic things that are happening because of Pokémon Go. People are interacting with each other, discovering new places and walking so much their legs get sore. It’s fantastic! And how do we combine these two? Well, this is the best part (and I’m surprised no one has thought of this yet to the best of my knowledge…)! As of the writing of this article, we have 57 (counting the three in the upcoming games) Legendary Pokémon. And ALSO right now we have 58 national parks in the United States! That’s crazy! It’s like the stars aligned for us because what if we could find a legendary Pokémon for each of our national parks? Our national parks are treasured for their uniqueness. There is nothing else like them in the world. As such we protect them to make sure they are preserved for future generations. Likewise, there is only one Legendary Pokémon (i.e., there can be multiple Pikachus but only one Mew). So what if you were to go to say Yellowstone and go through one of the trails and find Volcanion (which is essentially a geyser Pokémon). Or enjoy Denali and find Regice? How about Celebi at Great Smoky Mountains or Heatran at Hawai’i Volcanoes? If your desire to catch them all is that strong then visit us. And be amazed at what you have to find here. The biggest downside to this though is that Pokémon Go could depreciate the value of parks and even outright insult them. People working at parks that are more scenic or scientifically inclined would likely not care as much about Pokémon Go visitors as those working at monuments that value an emotional event. I certainly cannot imagine a case where the NPS would embrace Pokémon Go at such sites as Flight 93, Battle of the Little Bighorn, or Boston African American National Historic Site and that’s fine. We don’t have to do that. It is a tricky subject and I’m certainly not the guy to try to resolve that situation. “A roster of the reasons why people visit parks, museums, historic houses, and similar preserves, though a fascinating excursion into human psychology, need not detain us here. All interpreters know from their experiences that the reasons are so many and diverse that merely to name them all would take pages of this book. I go upon the assumption that whatever their reasons for coming, the visitors are there. What we should determine, then, if we aim at establishing our first principle of interpretation is: now that the visitor is here, in what will be his chief interest, and inevitably his chief interest, while he is with us? And from there, we must connect, our experiences, our ideas, emotions, feelings, and attitudes towards the visitor. Pokémon Go can act as a gateway to the NPS. They are here so perhaps we may find some connection with them on a personal level (why can you find an Articuno at Glacier?). And before you do so ask yourself, what is Pokémon all about? How can it be related to the NPS? For me the two are similar in that they are a sense of discovery, exploration, social connection, and wonder. It harkens back to what I was saying earlier of my childhood. Walking through the forest and catching that caterpie. Now, I can do that for real. And as for you. Will you Find Your Park today and decide to Catch Them All? P.S. Check this video by the National Park Service Director Jonathan Jarvis. That’s awesome! This entry was posted in National Park Service, Pokemon and tagged App, Find Your Park, Freeman Tilden, Legendary Pokemon, National Monuments, National Park Service, National Parks, Nintendo, Pokemon, Pokemon Go, Pokewalker, Smart Phone on July 12, 2016 by Andy. I’ve been teaching introductory biology labs for several semesters now and if there’s one thing that I learned it’s that you have a limited time to teach your students the current week’s material before they get bored. Most of the time, this is not an issue as students have already become familiar with the topic thanks to the lecture. As such, lab lecture is more or less reminding students of the material and less of teaching them something new. After a short introduction we get right into the lab and have some fun. But for the times when the lab is covering something new, things can get a little tricky. I heard somewhere before that you have five minutes to teach your students the pre-lab material before they begin to zone out. Five minutes, unfortunately, is painfully short and as such, I try to mix things up as best as I can so my pupils can continue to remain engaged (one time I even dressed up as a Eukaryotic cell and asked my students what each of my organelles do to keep me alive). Such as the case two weeks ago when we tackled the vertebrate diversity lab. One of my favorite labs ever, the students were divided into three groups and each group dissected three different vertebrates; a lamprey, a dogfish, a perch, a mudpuppy, a frog, an anoles lizard, a turtle, a pigeon, and a rat. These animals represented the numerous broad groups of vertebrates; agnathans, chondrichthyes, osteichthyes, amphibians, squamates, turtles, archosaurs, and mammals. The overall message for that week’s lab, through the dissection of the nine animals, was that vertebrates have all evolved from a simple body plan to accommodate their environment and lifestyles. Now, on the whiteboard, I had drawn a simplified version of a vertebrate phylogenetic tree as provided to the students by their lab book. However, as I was talking about each group of animals, I would slap on a printed-out picture of a Pokémon as an example of that animal such as Eelektross for agnathans. Yes, I know this vertebrate tree is highly simplified but this was the level of education the lab was focusing on for the students. The class textbook goes into greater detail about the intricate relationships. All images are from bulbapedia. Eelektross is always the first animal/Pokémon I would use as it represents the first branch off of the tree. Immediately, once I place this Electric-type Pokémon on the tree, everyone sits up and takes notice. I like to think that I have jarred them out of their sleepy, spaced-out zone and thrust them into something that they don’t know about (if they’re not Pokémon fans) or have much interest in (if they are Pokémon fans). Even if they’re not familiar with Pokémon, I would give my students a real life example of that animal it represents (lampreys) and then explain what sets this animal apart from all the other animals in the small phylum. After doing so, I would continue to the other animal branches and elaborate what makes them so special all the while continuing to slap on example Pokémon on the whiteboard. Besides doing this for comedic sake, I like to use Pokémon for two reasons. One, using Pokémon is a way to get students interested in the subject manner at hand. Many of my students are pre-Med or pharmaceutical majors and that’s totally fine. But here, at the doorstep of all that is biology, where students are exposed to so many different topics that they will never tackle again in their future, I try my damnedest to show them how awesome those weird and unique topics are even if they may be as seemingly uninteresting as plants or population genetics. I know I will not convince many of my students to change their chosen path in life but if I have just one student that just stopped and ponder briefly whether they should pursue another topic in biology because of my lab, then I have succeeded. Using Pokémon is just one of many ways I try to generate excitement of all that is biology (paleontology is another one as well, of course). The second reason why I like to use Pokémon is that I try to encourage a friendly, welcoming environment in my lab. I like to have a lab where people can be themselves. My icebreaker question even sets the tone for my labs as I ask each of my students what they’re nerdy about. Let me tell you, this question is great as I get to learn so much from my students and I get to relate to them for that particular hobby at hand or a hobby that’s close to it. I even like to chat to them as the semester progresses about certain news that may pertain to their nerdy hobby such as a recent episode in Game of Thrones or a movie update for the Marvel Cinematic Universe. Be yourself and be open to new ideas. As gimmicky as these may sound, I adhere to them like a barnacle on a hard substrate. I don’t know how well these two ideas have been picked up by my students, but I will say that they…I don’t want to necessary say “enjoy”…but certainly like my labs judging by my evaluations. I hope though in the long run, maybe 10 or even 20 years from now, they’ll remember my lab lectures and one day recall, while playing Trivia Pursuit, that Mantine is a manta ray and all manta rays are chondrichthyes and then they’ll win the game! But I’m just fantasizing at this point. This entry was posted in Pokemon, Science and tagged be yourself, Biology, biology labs, college, eelektross, Lab TA, Nintendo, phylogenetics, Pokemon, pokemon phylogenetics, Science, science is awesome, teaching, Unapologetic Nerd, vertebrates on April 13, 2015 by Andy. One year ago, I was preparing to start my own weekly blog by prewriting several articles to ensure I would meet my self-imposed deadline. Unfortunately, my blog started much earlier than expected thanks to an ill-timed Nintendo Direct video. The unlikely article that was now forced to become my first article for Unapologetic Nerd was “Possible New Smash Bros Characters.” I want to look back now and evaluate how good were my guesses. Some of them I got right, others I got close to, while the rest I was completely wrong about. Only two characters from my list were correct and granted, this is pretty good all things considering! The Mii Character was the first one and although I envisioned Mii using a variety of everyday objects such as a tennis racket or a golf club as weapons, Nintendo surprised us with a diverse character that could be a brawler, a shooter, or a swordsman. 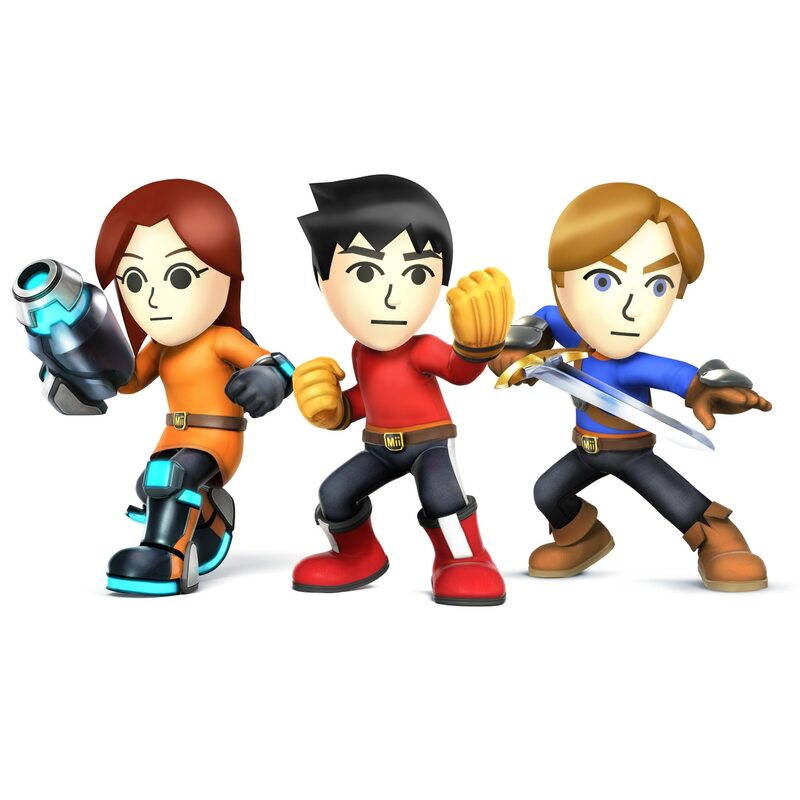 Still though, the inclusion of Mii into Super Smash Brothers was still an obvious choice thanks to their ubiquitous presence from the past seven years or so. Less of an obvious choice was Mewtwo. Like so many other fans, I hoped dearly that Mewtwo would make a return even though it seemed unlikely thanks to the large amount of Pokémon fighters. Initially it seemed like he wouldn’t but that changed thanks to the Super Smash Brothers-only Nintendo Direct and its great reveal of Mewtwo. And let me tell you, I’m super looking forward to playing him again! Last year, I strongly predicted that Chrom from Fire Emblem: Awakening would be a new fighter. I was…not quite correct…Lucina was the first new character but the more new interesting character was Robin. 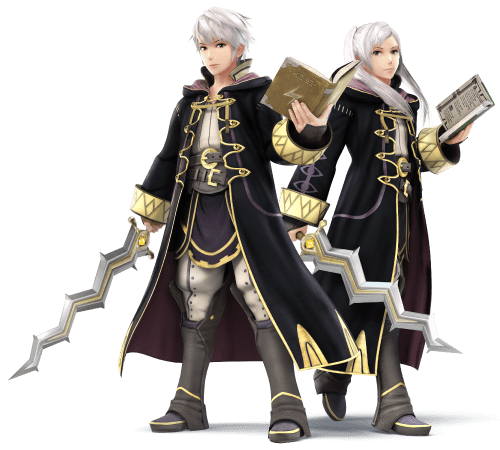 Robin answered my problem with Chrom as I thought of him as too similar to the other swordfighters. Robin, however, was more diverse using both magic and swords to fight his opponents. And hey! Chrom makes an appearance anyway in the final smash for Robin! Last year, I was predicting many favorite Third Party characters that starred in Nintendo consoles such as Simon Belmont, Bomberman, Professor Layton, and Banjo-Kazooie. I also guessed characters from already-represented franchises like Ryu and Phoenix Wright (CAPCOM) and Tails (SEGA). 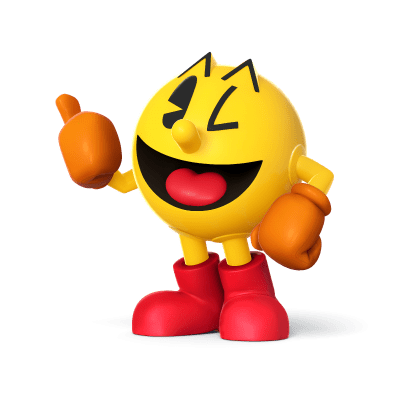 Third Party Characters were unfortunately low this time but I still can’t believe I missed one of the most famous video game characters of all time, Pac-Man (who is super fun to play btw!). King K. Rool and Paper Mario also unfortunately didn’t make the cut despite how amazing both of them would be. I’m especially sad about the King K. Rool as we definitely need more bad guy as well as Donkey Kong representatives. The best part about all of this though is that there is still a chance that these characters can be in the game! Ever since Nintendo revealed in their latest Nintendo Direct that you can vote for a new Super Smash Brother character, I have seen a wide variety of requests from various screenshots promoting many of the characters I have talked about here. What’s more, Nintendo allowing third party characters to be included has open the door for a diverse set of possibilities. Many of the developers and owners of these characters have already expressed interest for their character to be featured in the game including WayForward’s Shantae, TeamMeat’s Meatboy, and perhaps most exciting of all, Xbox’s Banjo-Kazooie. If I were to guess, we probably won’t be hearing about character selection anytime soon. Maybe at the earliest they’ll be announced in Autumn but more realistically speaking I’m thinking we’ll know by early next year. Still though, if my blog were to continue on for another year, I’m pretty sure I’ll be writing another article evaluating my predictions from the new DLC characters and I hope this time, Bomberman will finally be chosen. Tomorrow, I’ll post my one year anniversary article where I pick my favorite articles I have written and a little about my experience on the website. Thanks for reading! This entry was posted in Video Games and tagged 3DS, Banjo-Kazooie, Chrom, Metaboy, Mewtwo, Mii Fighter, Nintendo, Nintendo Direct, Pac-Man, Robin, Shantae, Super Smash Brothers, Super Smash Brothers Ballot, TeamMeat, video games, WayForward, WiiU on April 6, 2015 by Andy. The latest Pokémon game I played was ORAS and for the first time ever, I seriously trained a Dustox. Let me just say right now that Dusty is quite a cutie. I especially love feeding him in Pokémon Amie and bonding with him in general. My team roster may see powerful members come and go, but Dusty stayed with me until the end. But Dustox is by no means a strong Pokémon; in fact, this is the first time I decided to train one. Dustox always struck me as weak, with a poor move distribution and a bad type match up. What changed? Why have I now bonded strongly with a Pokémon that before I didn’t take for granted? Here’s something that many of my Pokémon friends know about me, Poison is my favorite Pokémon Type. There are so many great and cool Pokémon that I have loved and trained throughout the years. Just about every game I play in Pokémon has seen at least one Poison Type Pokémon on my team. The Poison Type was probably at its peak in Generation 1 when 22% of all Pokémon were Poison Type. Out of 15 types too! That’s ridiculous! You can find them everywhere from the Starter Bulbasaur, to the swarming Zubats in caves, to the swimming Tentacools in the oceans, all the way to the Safari Zone. You could easily make a team of just Poison Pokémon in Red and Blue. But the Poison Type has suffered setbacks since Generation 1 that has dropped it to the okay zone. In Generation 2 it was no longer super effective against Bug (leaving just Grass) and the newly introduced Steel Type was immune to any poisoning. 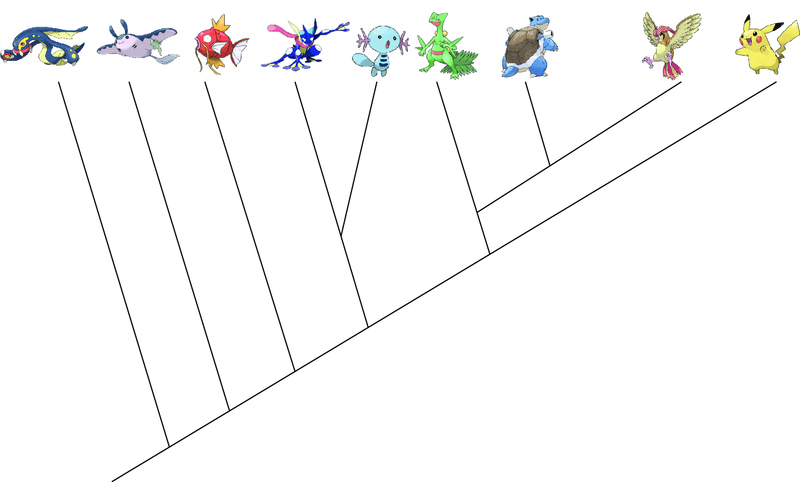 And from Generation 2 on only a few Poison Type Pokémon have been introduced in each generation dropping the abundance to just 8% of the total Pokémon population (and now, even five generations later, over half of all Poison Pokémon were introduced in Generation 1). But I remained a steadfast and loyal Poison Type fan. I just love these guys, they are so much fun and they can be quite versatile as well, especially if they have a second typing. 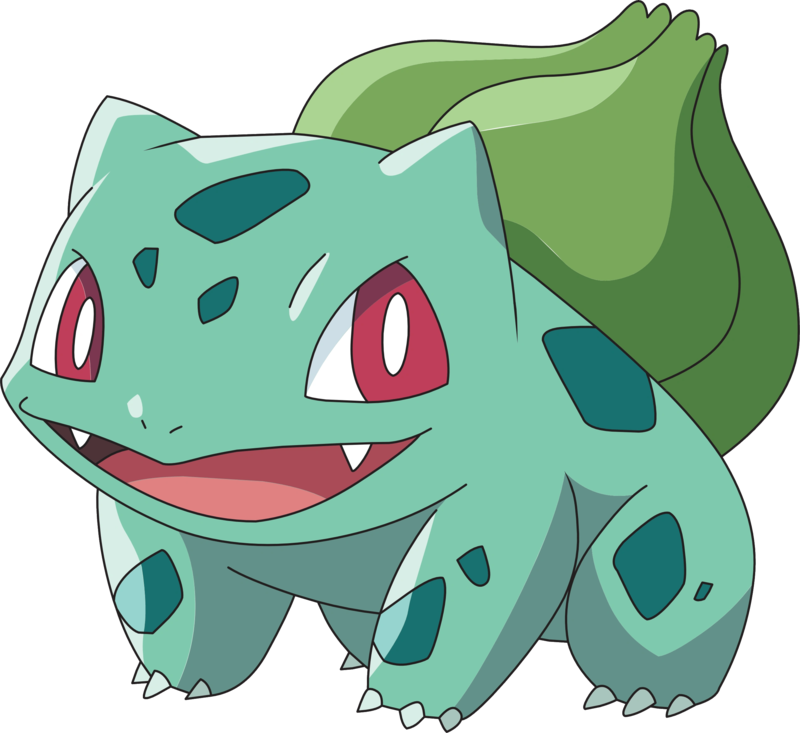 Gengar, Nidoking, Crobat, Tentacruel, Dragalge, Toxicroak, and of course Bulbasaur are all Pokémon that I loved and trained for more than a decade. They are like the underdogs in the Pokémon world; they may get the short end of the stick at times but man do I love them. Poison Type’s position as a sub-par type began to change in Generation V when it, along with many other types, were given new moves and hidden abilities. 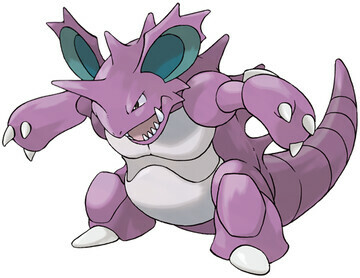 Nidoking now had Sheer Force, many of the moths got Quiver Dance, and Toxic’s accuracy rose to 90%. But Poison Type finally got to shine in Generation VI. Poison became a Type to be feared, respected, and used. Not only did a lot of Poison Type Pokémon got a small boost in their stats, such as Dustox, but an even more important event happened that made Poison viable for both the games and the metagame. When the Fairy Type was introduced I was beyond excited. Not only was this a new type, but now the dynamics between type relationships would be shaken. In the Fairy Type’s introduction video, Gamefreak showed that Fairy would be super effective against the powerful Dragon Type. Already this was big news but what was not revealed was what was Fairy weak against? Would Poison be good against Fairy? Thankfully, my prayers were answered and I rejoiced. Poison was only one of two types super effective against Fairy Type and one of three that resists it. Now, Poison Type was good against the now prevalent Fairy Type and many Pokémon benefited from that. But more importantly, Poison cemented itself as a great defensive type. Immune to poisoning with resistance to Fighting, Bug, Grass, Poison, and now Fairy, the Poison Type is now a good type to use when inflicting statuses on opposing Pokémon. And with Toxic now 100% accuracy for Poison Types, they are able to excel at it. The Poison Type is a great example how things change for each passing generation. Sometimes, a few Pokémon may become worse, but most of the time, every Pokémon becomes slightly better, slightly more usable, slightly more appealing. New moves, new abilities, and maybe even a stat or type change makes this so. So when the remakes come out, such as ORAS, Pokémon that you may have skipped the first time around now gravitate you towards them. Dusty is one of them, he is amazing and I’m glad I caught him. He’s is one more Pokémon I can add to my most favorite Pokémon Type ever. This entry was posted in Pokemon and tagged Dustox, Gamefreak, Generation VI, Nintendo, Poison Type, Pokemon, Pokemon ORAS, Types on March 2, 2015 by Andy. Nintendo made a great move in January by allowing Wii games to be downloaded on the Wii U’s Virtual Console. Now, games that are no longer in print or are hard to come by can easily, and cheaply, be accessed on the Virtual Console. But the selection is still small and as such, I thought I would weigh my opinion on the best Wii Games Nintendo should sell on their Virtual Console. I’m only selecting games that I think would benefit the most on the Virtual Console. 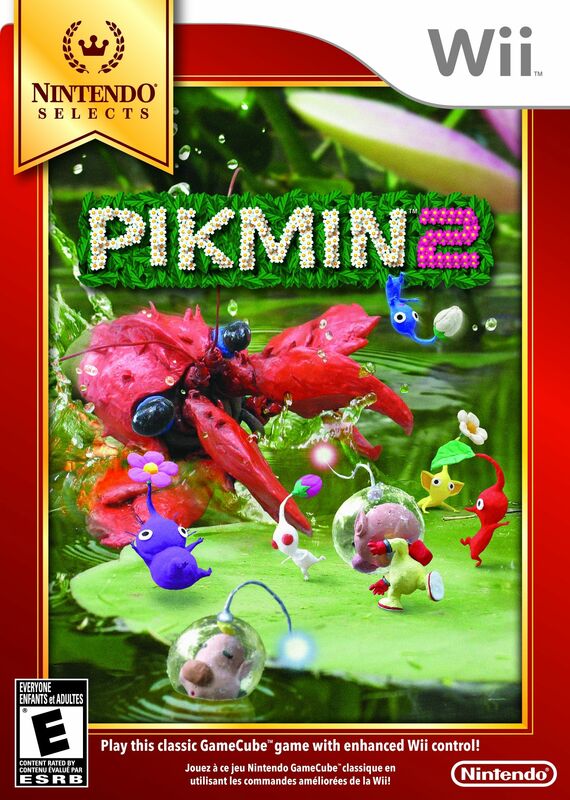 One of the more obvious choices, Pikmin and Pikmin 2 are great games that are meant to be played with the wiimote. After playing the Gamecube version and switching over to the Wii, I was happy at how everything was better managed and easier to control. However, the prices for these games on Amazon are pretty high even if they are used. Selling both of these games on Virtual Console would not only allow for a greater audience to be exposed to these games, but it would also serve a tantalizing lower price for two gems. What’s more, Nintendo could sell them with a discount if bought together. 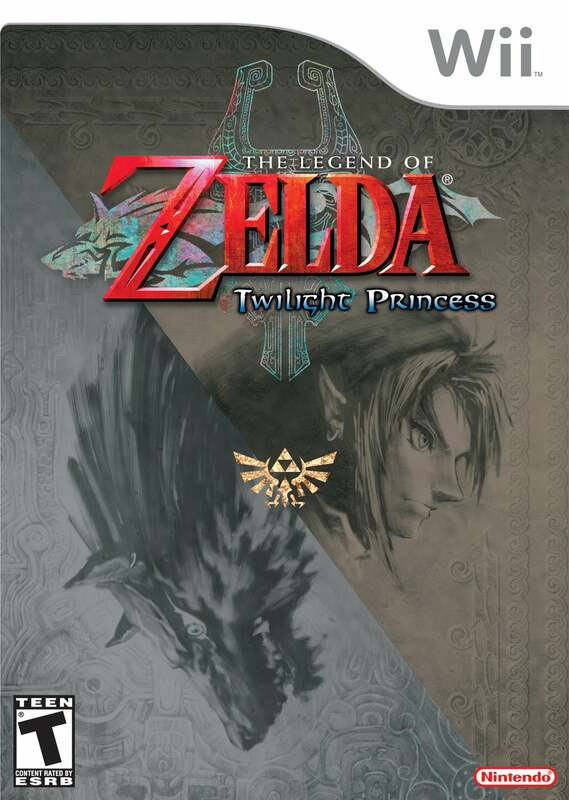 Though more ubiquitous than the Wii Pikmin games, Legend of Zelda: Twilight Princess would benefit with a Virtual Console option. This is a great year for them to release it with two official Zelda games coming out. Also, Nintendo is very good at releasing or updating older Zelda games to the modern audience. The amount of Zelda games you can get on Virtual Console is pretty high. What’s more, this game is almost ten years old so selling it online can open the door for new players. 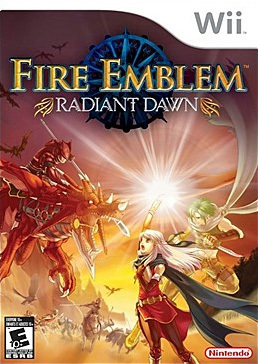 Going for $70 used on Amazon, Radiant Dawn is another perfect Wii game that would be good for the Virtual Console. It’s just like Metroid Prime Trilogy, a good game that is quite expensive. Again, this is also a good year for its release thanks to another Fire Emblem game coming out. And who knows, maybe Nintendo will have a Gamecube emulator and release the Fire Emblem Gamecube game as well. 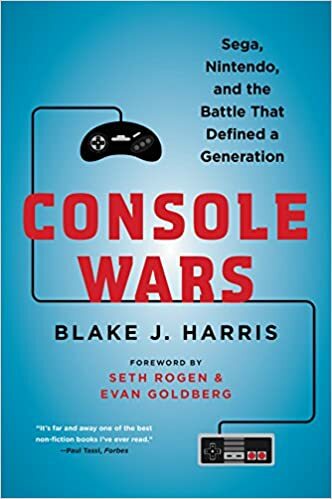 The Wii may not have the Third Party strength compared to the PS3 and Xbox360 but there are still a host good games out there could be sold on the Virtual Console. It’s not that far of a stretch as well considering Nintendo is selling Capcom and Konami games from the NES and SNES era. 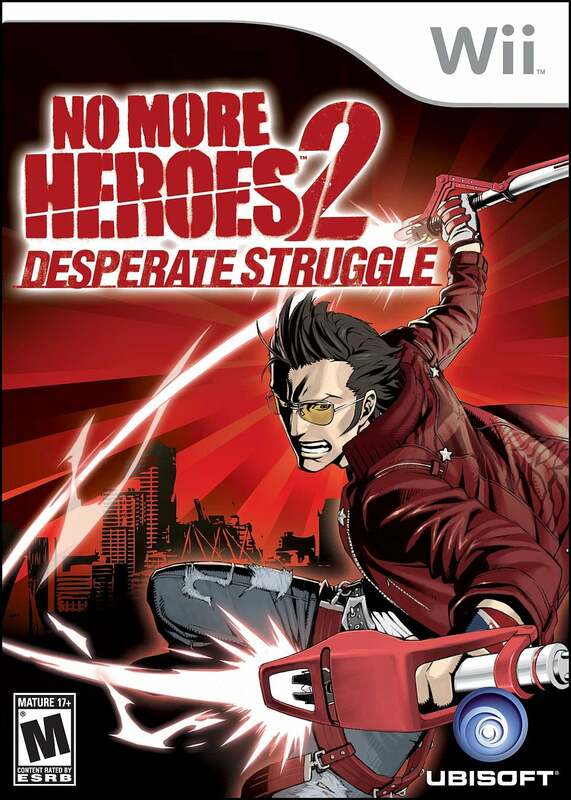 This can include Silent Hill: Shattered Memories, Tatsunoko vs. Capcom: Ultimate All-Stars, Red Steel Series, and No More Heroes. All these games were good Wii games that didn’t get that much press. And what the hell, throw in Resident Evil 4 while we’re at it, that game is freaking awesome. How about you? What Wii games do you think the Virtual Console should have? Let me know in the comments! This entry was posted in Video Games and tagged Nintendo, Pikmin, Radiant Dawn, Twilight Princess, Virtual Console, Wii, Wii U on February 23, 2015 by Andy.